Your wedding is one of the most momentous days of your entire life. On the day itself everything has to be just right. This applies to the venue and food, as well. Arbutus Catering Company has 5 main wedding locations too choose from all with different and unique features that will make your day something to talk about of years to come. The sheer range and volume of dishes that we can create means that we have something to wet every guest’s appetite. For food that melts in your mouth, and a venue that will be picture perfect - Contact Arbutus Catering Today. If it is an intimate wedding you are looking for then Arbutus at The Crannagh is well suited for you. With a glass marquee that seats up to 160 people and stunning views over the River Bann, Arbutus at The Crannagh is a spot that you will fall in love with. Guests will feel at home and are welcomed by our fully trained and highly dedicated staff team. With great price packages to suit all needs Arbutus at The Crannagh is thee ideal wedding venue on the North Coast! As part of Arbutus Hospitality, The O’Neill Arms places a great deal of emphasis on the success of each Wedding Reception. Whether you're planning a private celebration or a lavish dinner for family and friends, when you place yourselves in the capable hands of our friendly management and staff, we promise that your Wedding Day will be organised down to the smallest detail, allowing you to relax and enjoy yourselves on your special day. The O’Neill Arms Country House Hotel is an approved venue for Civil Ceremonies offering you a stylish alternative to the traditional Church or Register Office. Ballyscullion Park is the perfect venue for couples looking for something different for their wedding. In the Courtyard of a private historic estate, the newly restored 18th century Coach House retains its Georgian charm, while inside, the Ringrose Room and Stables provide elegant, classical spaces in which you can create your own individual style. Both function rooms open through French doors into the Walled Garden, where three acres of lawns surrounded by red-brick walls festooned with roses are exclusively yours to enjoy for the day. There are endless locations for photography – summer houses, gates, swings and shrubberies. The garden is illuminated as dusk falls transforming it into a magical space. On a beautiful summer’s day your wedding will commence amongst the flowers and woodlands of Dunmore Gardens and depending upon your wishes, will continue on to a large garden marquee or beautiful heritage barn. The secret garden is entirely yours for the day. If you are looking for timeless elegance, rustic romance or boho chic, we are happy to accommodate all weddings. Dunmore Gardens is a truly remarkable place with picturesque surroundings that will have all your guests mesmerised all day long. Fully bespoke packages are available on request. The Wool Tower is a unique and amazing space for weddings or other very special events. Intended to only accept a limited number of weddings or events each year to keep the Wool Tower select and special. Without a doubt it is the location of choice for discerning people who would like their day to be memorable and treasured. It is over 200 years old and features vaulted brick ceilings, massive pine beams, and an amazing original mill tiled floor. The Wool Tower Garden is an enclosed space which means your guests are able to enjoy the sunshine in seclusion. Wool Tower brides have the most beautiful riverside locations for their photographs. Situated near Benone Beach in the North Coast, the renovated barn is the perfect space for large or small weddings and for those couples who are looking for something a little different. 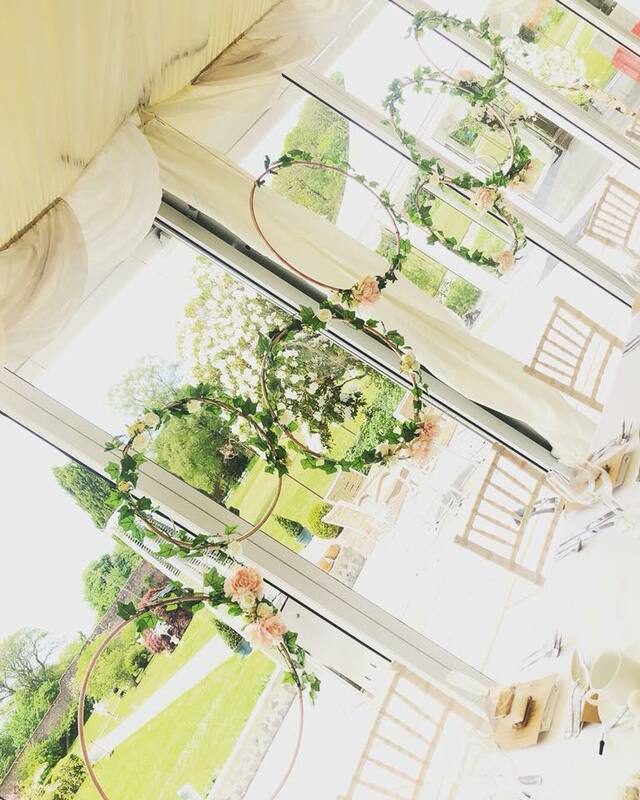 With a one wedding per day policy the venue is entirely yours to enjoy where you can take advantage of the picturesque views for photos on your special day. Bespoke packages are available on request to suit your needs and budget from the award winning Arbutus Hospitality. From arrival drinks to five course meals, evening canapés and taking care of the entire set up of your day the team at Arbutus Hospitality Ltd will ensure smooth sailing within Ballymaclary House. DRUMHALLA HOUSE provides an exclusive and unique setting for a hugely romantic and memorable country house wedding. Having all of your family and closest friends with you in the privacy and exclusivity of your own manor house for the most important day of your life. Drumhalla House fulfills this dream and much, much more!